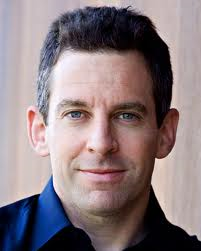 Sam Harris or Sarah Palin? See if You Can Guess. And honest reasoning declares that there is much that is objectionable—and, frankly, terrifying—about the religion of Islam and about the state of discourse among Muslims living in the West, and it is decidedly inconvenient that discussing these facts publicly is considered a sign of “intolerance” by well-intentioned liberals, in part because such criticism resonates with the actual bigotry of not-so-well-intentioned conservatives. I can see no remedy for this, however, apart from simply ramming the crucial points home, again and again. . .
. . . Yes, it is true that the Old Testament contains even greater barbarism—but there are obvious historical and theological reasons why it inspires far less Jewish and Christian violence today. Anyone who elides these distinctions, or who acknowledges the problem of jihad and Muslim terrorism only to swiftly mention the Crusades, Israel’s treatment of the Palestinians, the Tamil Tigers, and the bombing of the federal building in Oklahoma, is simply not thinking honestly about the problem of Islam. . .
. . . The claim that the events of September 11, 2001, had “nothing to do with Islam” is an abject and destabilizing lie. This murder of 3,000 innocents was viewed as a victory for the One True Faith by millions of Muslims throughout the world (even, idiotically, by those who think it was perpetrated by the Mossad). And the erection of a mosque upon the ashes of this atrocity will also be viewed by many millions of Muslims as a victory—and as a sign that the liberal values of the West are synonymous with decadence and cowardice. This may not be reason enough for the supporters of this mosque to reconsider their project. And perhaps they shouldn’t. Perhaps there is some form of Islam that could issue from this site that would be better, all things considered, than simply not building another mosque in the first place. But this leads me to a somewhat paradoxical conclusion: American Muslims should be absolutely free to build a mosque two blocks from ground zero; but the ones who should do it probably wouldn’t want to. Answer: Sam Harris, liberal Atheist, author of The End of Faith, over at The Daily Beast. 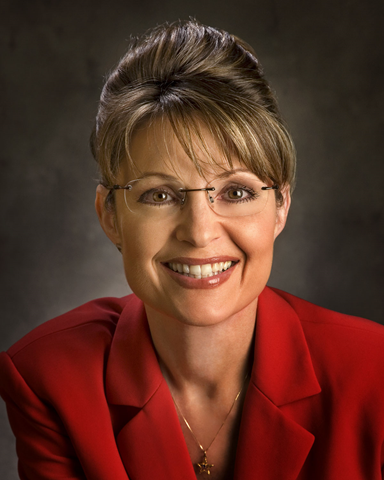 Clearly Harris and Palin are in the same league. This entry was posted in General, Noted with Interest. Bookmark the permalink.